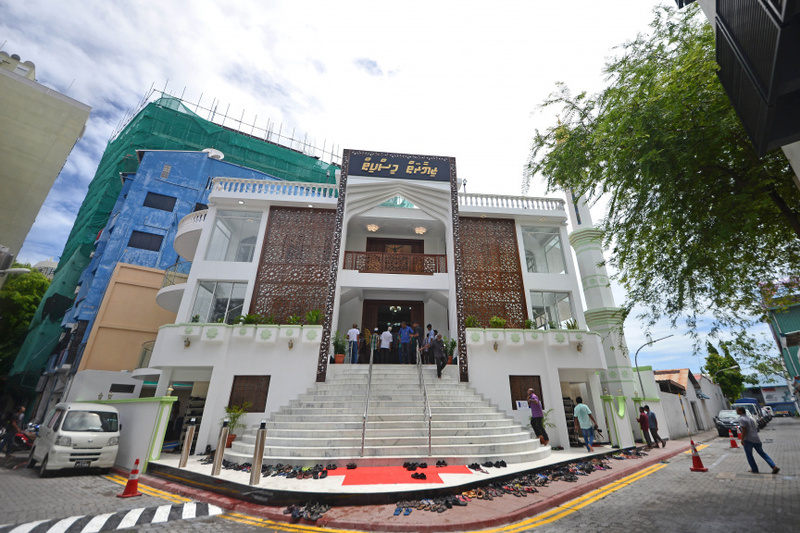 Built under the free aid from Universal Enterprises PLC, Masjid al-Ziyaarai has been opened in Male' City. 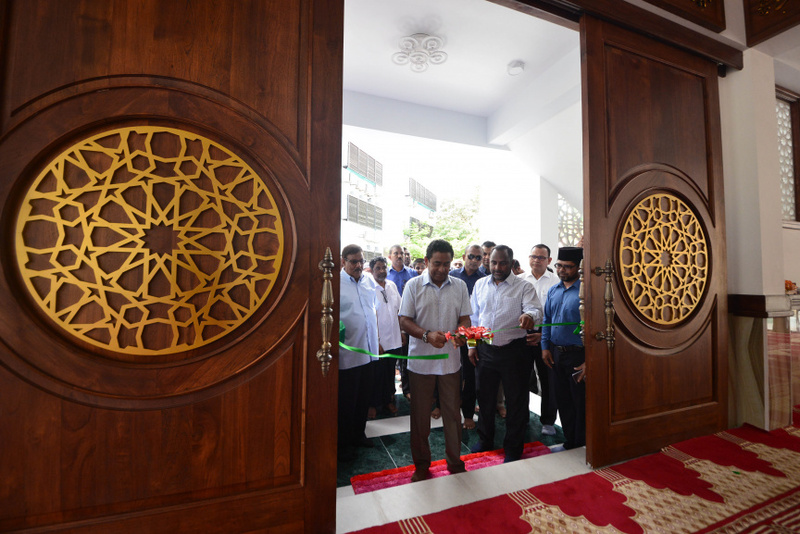 The mosque was opened for the Friday Prayer today by the President, Abdulla Yameen Abdul Gayoom. The President was accompanied by the Islamic Minister, Dr. Ahmed Ziyad and the Defence Minister, Adam Shareef Umaru. Developed behind, Hilaaleega at the site of the old mosque, the modern mosque has a capacity of hosting 1,200 people in prayer at a time. Speaking at the opening ceremony, Minister Dr. Ziyad said that building a mosque is one of the greatest deeds a human can do in this life. After the opening ceremony, the President and the cabinet ministers joined the Friday prayer in congregation.